Practicality meets luxury with the 2018 GX 460 SUV, a work-to-weekend warrior that’s as at home on the trail as it is in the city or suburbs. Underscoring the three-row GX 460’s all-weather capability and comfort that seats up to seven passengers, the heated/ventilated front seats are available as a standalone option for the base model (standard on the Premium and Luxury models). In addition, the top-line GX 460 now offers captain’s chairs for the second-row seating in the Sport Design Package. The Lexus signature spindle grille gives the GX 460 a distinctive, standout style. The Sport Design Package puts an extra accent on that design with special details such as an exclusive front bumper, rear bumper spoiler, special exhaust tailpipe tip, a redesigned side mirror case, scarlet tail lamps and unique 18-inch split-six spoke alloy wheels. One Vehicle, Two Ways Easy maneuverability and the comfort of the GX 460 make it an ideal contender for the modern family. A dual-purpose vehicle, the luxury SUV can go from the office to an active, demanding 4×4 environment on the weekend without looking out of place. The standard and sole engine is a 301-horsepower 4.6-liter V8 that issues 329 lb.-ft. of peak torque. Combine that with 6,500-lb. towing capacity, and you’ve got an ideal boat hauler. Towing is aided with Trailer Sway Control, a function of the Vehicle Stability Control that enhances straight-line tracking. A key to the GX 460’s dual personalities is its standard Kinetic Dynamic Suspension System (KDSS), which helps to significantly reduce body lean without resorting to stiffer springs and dampers. Lexus made the stabilizer bars stiffer to help reduce maximum body-lean angle by as much as 50 percent. Hydraulic cylinders act on each stabilizer bar, and linked by a pressure-sensing valve, they continually vary the lean resistance. During on-road cornering, when both front and rear hydraulic cylinders are in a neutral position, no fluid flows in the system and the stabilizer bars work conventionally to help reduce body lean. Driving in off-road situations, KDSS is designed to reduce sway resistance, which allows the wheels to move with a larger degree of side-to-side independence. When the GX 460 encounters an uneven surface, one compressed cylinder causes fluid to flow to the other cylinder, helping the vehicle to keep all four wheels on the ground. The system works without any action needed by the driver. The GX 460 has another ace up its fender for on-road smoothness. Available Adaptive Variable Suspension (AVS) uses electronically controlled dampers that adjust to road surface conditions. The driver can tailor ride and handling characteristics by selecting from among Normal, Sport or Comfort modes. In today’s world, a full-capability SUV means the ability to casually traverse highways and grocery store parking lots while also offering the ability for an off-road excursion. 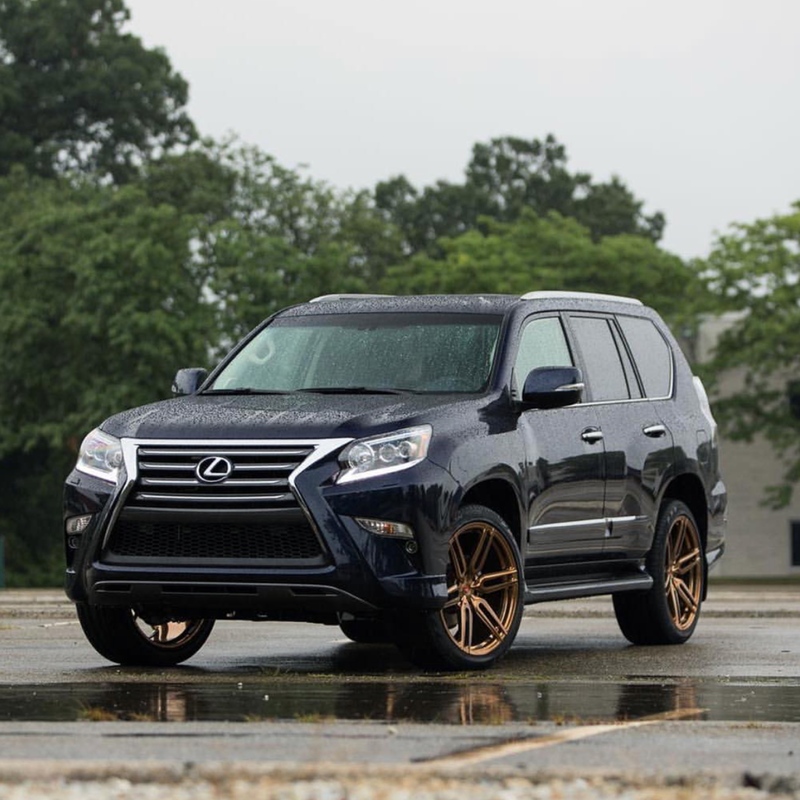 That’s why the Lexus GX 460 uses a full-time automatic four-wheel drive system that can enhance everyday handling on the pavement as well as on the trails. A Torsen® torque-sensing limited slip center differential distributes power 40:60 under most driving conditions and changes the ratio as needed based on wheel slip. The system offers a low range for off-road driving, and the center differential can be electronically locked. Driving through a curve on pavement, for example, the Torsen differential can change the torque split to 30:70 to enhance vehicle tracking. If wheels spin, the center differential can change the ratio to 50:50 to help control slippage. The system can respond to sudden changes in road-surface conditions, such as driving through a puddle or over an ice patch. A two-speed transfer case with low range is supported by a wide array of chassis control technology. With Downhill Assist Control (DAC), Hill-start Assist Control (HAC), Active Traction Control (A-TRAC), Vehicle Stability Control (VSC) and available Crawl Control, the GX 460 has the ability to roam unpaved, uneven trails and steep inclines. In some off-road conditions, where the driver might have a hard time knowing which direction the front wheels are pointing – the GX 460 comes with a standard steering angle indicator in the gauge panel. A-TRAC provides the traction benefits of having locking front and rear differentials, but with lower weight. The system can apply the brake to a slipping wheel, while transferring torque to the wheels with better traction. Trail drivers who encounter steep and rocky hills know well the skill and concentration needed to manipulate the throttle, brake and steering to help keep the vehicle moving forward securely. The GX 460 makes it easier with available Crawl Control, which automatically modulates the throttle and brake, allowing the driver to concentrate on steering. Engaged when the vehicle is in low range, Crawl Control allows the vehicle to move forward or in reverse at one of five driver-selectable low-speed settings. Crawl Control also engages the front and rear “virtual” locking differentials to help reduce tire slippage and optimize chassis behavior. Crawl Control can also help the driver navigate the GX 460 through sand, mud or snow. The GX 460’s multimedia system is a multitasker, offering a customizable home screen that can display three sections simultaneously. For example, you can view a single display (navigation/map), dual display (navigation/map + audio, compass or other function) or three displays on the same screen (navigation/map + audio + weather). The available Navigation System’s three-dimensional map view makes it an even more effective driving partner. The touch-screen Display Audio uses an eight-inch screen that includes a backup camera, HD RadioTM, Bluetooth® audio, automatic phone book transfer, a vehicle information display and complimentary traffic and weather data provided via HD Radio. The system also incorporates cache radio, which can pause live radio, recording up to 15 minutes of broadcast for later playback. Drivers with an iPhone ® (iPhone 4S and later) can get things done just by asking through standard Siri® Eyes Free Mode. Siri lets you call contacts, select and play music from iTunes®, get turn-by-turn navigation through Siri and Apple® maps, and much more. The Lexus GX 460 also goes above and beyond with safety features. Technologies that exemplify the brand’s forward thinking are found in the optional Driver Support Package, which includes the Pre-Collision System (PCS), Driver Attention Monitor, Lane Departure Alert (LDA), Dynamic Radar Cruise Control, Outside Rear View Mirror (camera + Blind Spot Monitor indicator) and a Wide-view Front and Side Camera that is designed to enhance visibility in tight settings and around corners. Dynamic Radar Cruise Control uses millimeter-wave radar to measure and help maintain a pre-set following distance from a vehicle traveling ahead. The Driver Attention Monitor helps to address a growing safety concern, that of driver inattention. The innovative system uses a camera to monitor the orientation of the driver’s face. If it determines that the driver is not facing forward when an obstacle is detected by PCS, a warning chime and a warning display convey alerts. If the driver doesn’t respond as the vehicle closes on the obstacle, the next level of warning is PCS gently applying the brakes. At the same time, the system automatically retracts the front seat belts and prepares the brake system to respond with increased force when you apply the brake pedal. By monitoring visible lane markings, Lane Departure Alert can detect unintentional lane departure and sound a warning buzzer and display a visual alert. Also part of the Driver Support Package, Intelligent High Beam brings courtesy and safety to the road by automatically switching high beams to low when meeting oncoming vehicles or approaching vehicles from the rear. When equipped with the available Navigation System, the GX 460 also comes with a one-year complimentary subscription to Lexus Enform Destination Assist, and the subscription-free Lexus Enform App Suite. These voice-enabled apps let you search the Internet through Destination Search, make restaurant reservations through OpenTable®, order movie tickets via MovieTickets.com, listen to Internet radio (including Pandora®, iHeartRadioTM and Slacker), and search business reviews on Yelp®. The 2018 GX 460 includes Lexus Enform® Safety Connect featuring Automatic Collision Notification, Stolen Vehicle Location, Emergency Assist Button, Enhanced Roadside Assistance and Lexus Enform Safety Connect and Lexus Enform Destination Assist (includes a complimentary one-year subscription). Lexus drivers can also opt in for Lexus Enform Service Connect with a complimentary one-year subscription included. This service allows customers to remotely view information about certain aspects of their Lexus vehicle via the MyLexusandBeyond mobile application for iOS smartphone users or LexusDrivers.com for others. Information includes maintenance alerts, warning light notifications and a vehicle health report that includes email and push notifications for diagnostic information, required maintenance reminders, current vehicle alerts, service campaigns, and more. Available Lexus Enform Remote (one-year subscription included) allows the owner to remotely view and control certain vehicle features using a mobile app for iOS and Android devices. Key features include remote door lock/unlock, remote stop/start for the engine and climate control, vehicle finder, guest driver monitor and more. This entry was posted in Auto and tagged 360 Magazine, art, audi, bmw, Canada, Cape Town, Chevy, Chicago, China, culture magazine, Dallas, design, edgy fashion magzine, Ferrari, Global Society, gmc, Honda, Jakarta, Japan, jeep, Johanessburg, Lamborghini, lexus, London, Los Angeles, luxury, maserati, McLaren, Melbourne, Mercedes, Miami, Milan, Netherlands, New York, Paris, San Francisco, suv, Sweden, Sydney, Toyota, Vaughn Lowery on November 5, 2018 by wp360mag. Speed Read: Supercars will guide you through every aspect of these imagination-capturing, eye-widening, land-bound speed missiles. When Lamborghini unleashed its Miura on an unsuspecting world in 1966, it set off a high-performance arms race that continues to this day. Ferrari, Maserati, Jaguar, Porsche, and Lotus all accepted the challenge. Over the following five decades, numerous others stepped up, including stalwarts like Aston Martin, BMW, and Audi, as well as small-volume specialists such as Koenigsegg, Pagani, Noble, and Spyker. The result is a veritable smorgasbord of blazingly fast and delicious-looking land missiles available to anyone with several hundred thousand dollars to spare. Supercars are complex subjects that interest nearly all car enthusiasts. Every part of a supercar represents myriad decisions informed by engineering, aesthetics, human interface, and emotion. 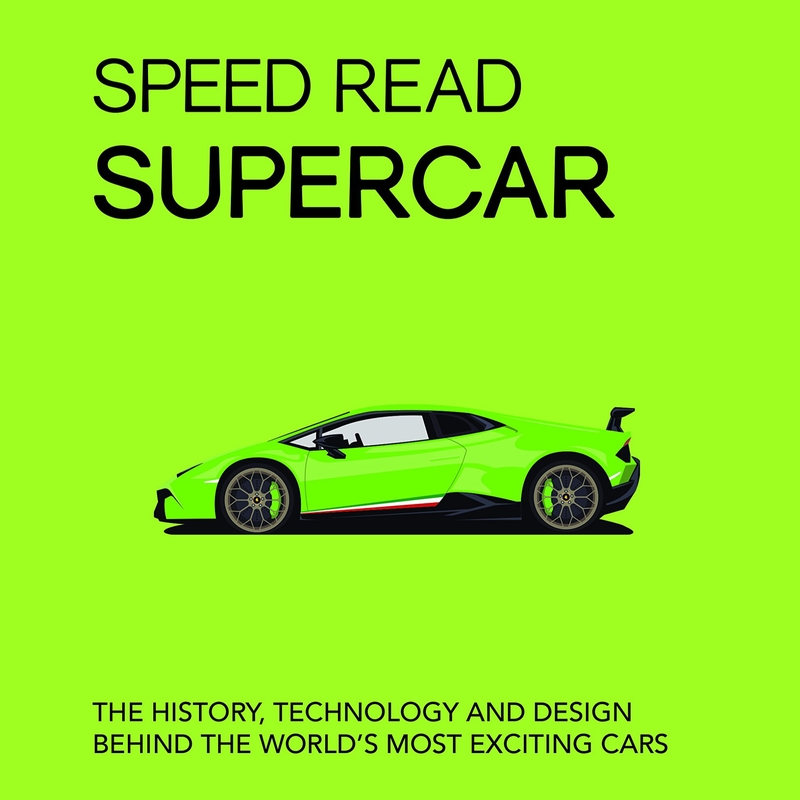 Speed Read: Supercars answers the hows and whys of these fantastic cars, offering an engaging review of history, engineering, design, key concepts, and key people. Basem Wasef’s fascination with all things automotive spans back to his childhood in London, where he was known to sing Happy Birthday to his extensive collection of Matchbox cars. Though his enthusiasm has taken him from the Arctic Circle to Modena in pursuit of extraordinary and exotic vehicles, he can’t imagine living anywhere but car-crazed Los Angeles, California. This entry was posted in Uncategorized and tagged 360, 360 Magazine, Arctic Circle, aston martin, Atrin Yazdani-Biuki, audi, author, automotive, Basem Wasef, bmw, California, car, car enthusiasts, cars, design, engineering, Ferrari, history, jaguar, Koenigsegg, Lamborghini, London, Los Angeles, lotus, maserati, Matchbox, Miura, Modena, Noble, Pagani, Porsche, Speed Read: Supercars, Spyker, supercar, supercars, Vaughn Lowery, vehicles on September 7, 2018 by wp360mag. The luxury dealership group is the first in the west to offer the new all-electric European hypercar brand to its discerning customers, beginning with the C_Two. 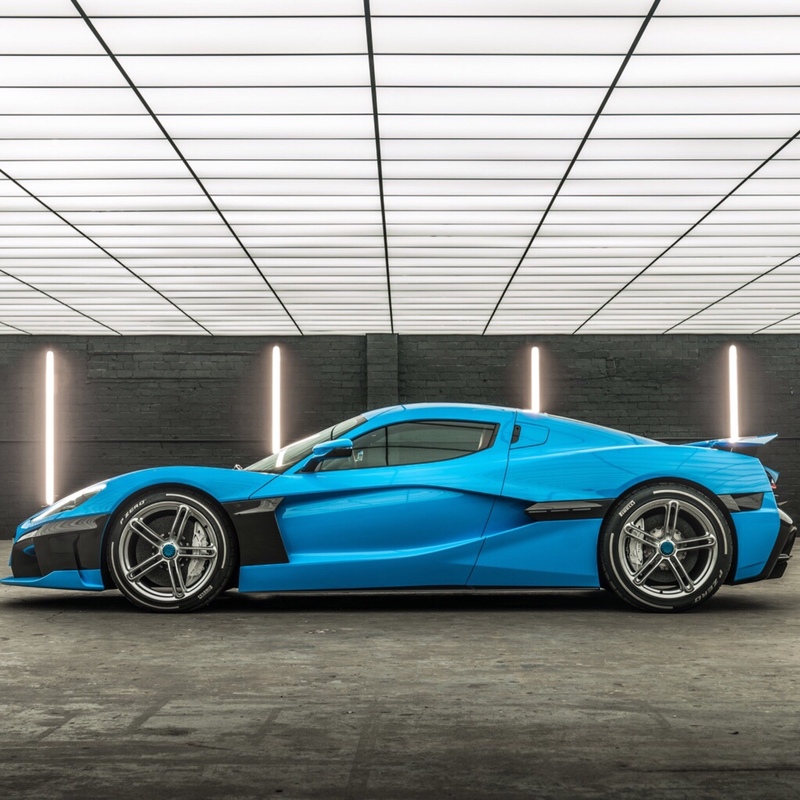 O’Gara Coach has announced that Rimac Automobili is the latest marque available through its Southern California locations, making it the first California dealer to offer this exclusive brand. Rimac is also the first all-electric hypercar manufacturer to join the luxury dealership group and is the 11th brand it currently offers. In 2011, Rimac Automobili impressed the automotive world when it released the Concept_One and it is poised to do so again with its latest marvel of technology and engineering — the C_Two. The 2019 model will have a limited production run of just 150 examples, produces 1,914 horsepower, accelerates from 0 to 60 mph in 1.85 seconds (one foot roll-out) and has a top speed of 258 mph. Participants in O’Gara Coach’s Sunset GT Rally to Monterey Car Week will be treated to an exclusive preview of the new C_Two at a reception at the conclusion of the drive. The C_Two will be on public display the following day at The Quail, A Motorsports Gathering. O’Gara Coach has become one the world’s premier dealerships by providing customers with an exceptional and individually tailored sales experience. Its dedication to hospitality now extends to the Rimac family as O’Gara will immediately begin taking orders for the C_Two. This entry was posted in Auto and tagged 360 Magazine, alfa romeo, aston martin, auto, bentley, Beverly hills, Bugatti, California, concept_one, c_2, Diana Macaraeg, gt rally, Koenigsegg, Lamborghini, luxury, maserati, McLaren, Monterey car week, motorsports, o’gara coach, Rimac, Rolls-Royce Motor Cars, the quail, Vaughn Lowery on August 23, 2018 by wp360mag. Modena 30 November 2017 – Maserati’s groundbreaking Nerissimo package will be shown for the first time this week on the Levante SUV, Ghibli sport executive sedan and flagship Quattroporte at the 2017 Los Angeles Auto Show. 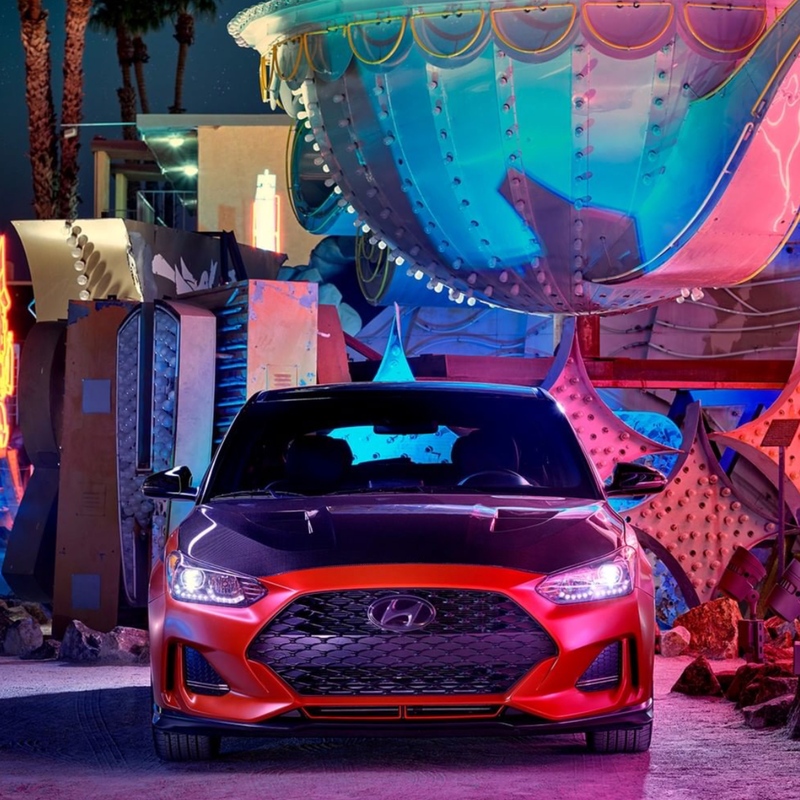 The Nerissimo “black” option, will stun West Coast audiences with its edgy and dark palette in both sedans and SUV at the Los Angeles Convention Center, from December 1-10. The Nerissimo package embodies the excitement of urban night and enhances the aesthetic sportiness of the Levante, Ghibli and Quattroporte vehicles. Breathtaking Nero paint combines with Black Chrome finishing on the grille upper bezel trim, rear trunk accent, side air vents, trident logo on the front grille, Maserati badges on the c-pillars and the Maserati logo, model, engine and vehicle version name on the rear of car to create a truly unique statement. Also getting clothed in black are the window surrounds, exhaust tips and vertical grille bars. Two additional paints, Nero Ribelle and Grigio Maratea, are offered on Ghibli and Quattroporte in combination with the Exterior Carbon Package. 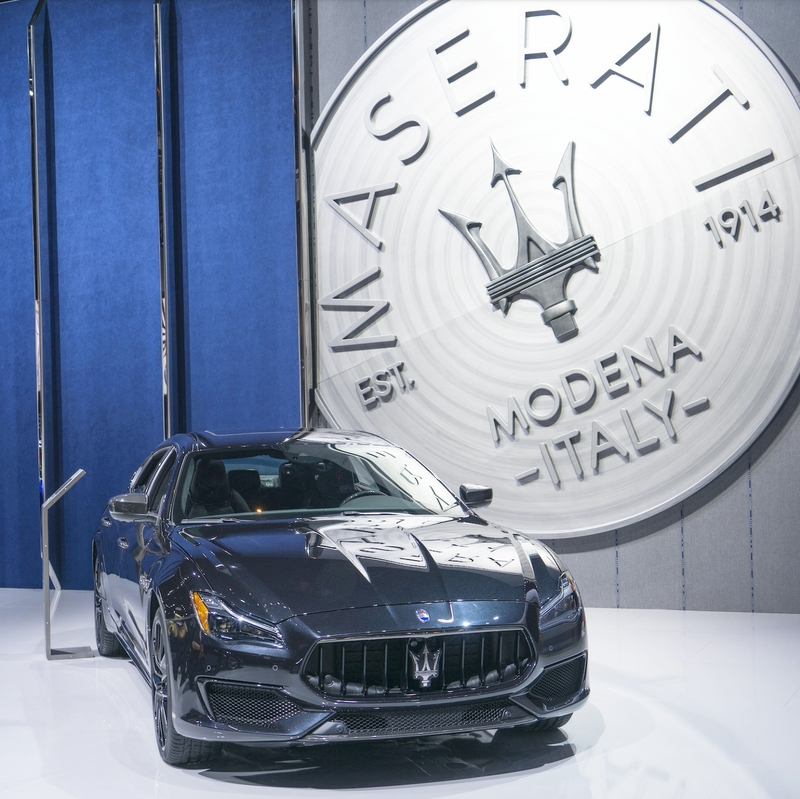 Complementing the debut of these new Nerissimo vehicles, the ‘House of the Trident’ also proudly brings their entire luxurious portfolio to the City of Angels, with the full 2018 Maserati model year lineup planned for display during the auto show. Maserati’s product range now includes the Ghibli sport sedan, flagship Quattroporte executive sedan and Levante SUV, along with the new GranTurismo and GranTurismo Convertible sports cars. All four distinct model lines have received upgrades for 2018. Significant updates to the Ghibli and Levante MY18 include the addition of GranLusso and GranSport trims, previously introduced in the Quattroporte range. With the new Maserati range strategy, customers can now choose one of two distinct trims for the Levante and the Ghibli: GranSport or GranLusso. GranSport was conceived to meet the demands of a sportier expression of the high-end lifestyle, while the sophisticated and luxurious GranLusso cabin combines a choice of Ermenegildo Zegna silk or full premium Italian leather upholstery, and includes upgrades such as wood trim and wooden/leather steering wheel. For 2018, the Ghibli and Quattroporte now also feature Adaptive full LED headlights with glare-free high-beam, based on Matrix technology for Ghibli, developed in collaboration with Magneti Marelli Automotive Lighting, and L-shape technology for Quattroporte. In addition, both Maserati sedans can be fitted with power-upgraded 3.0L V6 424hp engine with the new, performance-enhancing Integrated Vehicle Control system (IVC), developed by Bosch in collaboration with Maserati. For the iconic GranTurismo and GranTurismo Convertible, 2018 brings an elegant restyling for improved aerodynamic performance, and an upgraded interior with a brand new driver interface and state-of-the art infotainment system. Other notable announcements for the Los Angeles Auto Show include, for the first time, the introduction of Electric Power Steering (EPS) by Maserati, enabling new Advanced Driving Assistance Systems (ADAS) with active functions. EPS has replaced hydraulic power steering on both Maserati sedans, as well as on the Levante, providing better handling and comfort, while retaining the razor-sharp steering feel that is typical to every Maserati. Continuing its prestigious partnership with Maserati, Bulgari has created two new Octo Maserati watch models, which will be officially displayed at the Los Angeles Auto Show. The new Octo Maserati GranLusso and GranSport by Bulgari are firmly focused on exclusivity and reserved for Maserati owners. They feature retrograde minutes and jumping hour displays with a spectacular dial effect intended to recall the rev counter of a real Maserati, along with topstitched leather strap reminiscent of Maserati upholstery. Maserati and Ermenegildo Zegna are pleased to present at the Los Angeles Auto Show the Maserati Summer –Spring 2018 Capsule Collection, inspired by the GranLusso trim, featuring a dedicated Ermenegildo Zegna fabric, now available for Ghibli, Levante and Quattroporte models. The sophisticated collection of travel-oriented clothing in microfabrics with micro nubuck details, together with the luxurious personal leather bags and accessories, are tangible representations of the craftsmanship and elegance that characterize the two Made in Italy brands. The collection also demonstrates another concrete result of the long-term partnership that was inaugurated in 2013. This entry was posted in Auto and tagged auto, auto show, car, crossover, ghibli, interior, la, levante, Los Angeles, luxury, maserati, nerissimo, packages, quattroporte, suv, truck, Vaughn Lowery, zegna on November 30, 2017 by wp360mag. MASERATI GRANTURISMO 2018 MAKES ITS WORLD DEBUT IN NYC! Maserati reveals the restyled GranTurismo at New York Stock Exchange today. Maserati CEO Reid Bigland will ring the closing bell of the NYSE at 4pm EDT. Modena, Tuesday 27 June 2017 – Maserati has chosen the New York Stock Exchange as the venue to unveil the model year 2018 GranTurismo. 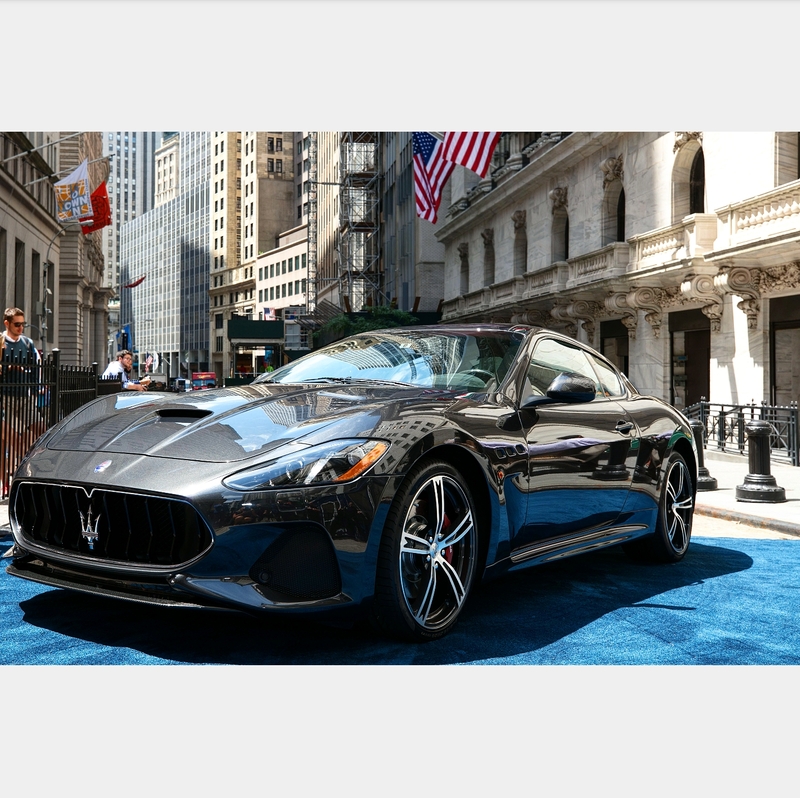 With its restyled exterior in “Grigio Granito” colour and refined black leather interior, the GranTurismo MC (short for Maserati Corse) makes its world debut today at the Experience Square, right at the main entrance of the NYSE. Maserati CEO Reid Bigland will ring the closing bell of the stock market at exactly 4:00 pm EDT (10:00 pm CET) today. Maserati will line up its entire range next to the restyled GranTurismo MC in front of the New York Stock Exchange building: a black Ghibli SQ4 Nerissimo Edition with a black/red interior (an exclusive version for the US and Canada markets, which debuted in the New York Auto Show last April), a blue “Passione” Quattroporte GTS GranLusso with a Zegna Silk interior and a white 350hp Levante with a black/red interior, the first SUV in Maserati’s century-long history. Alongside the modern Maserati cars, busy New Yorkers will have the unique opportunity to admire a sensational sports coupé representing Maserati’s racing heritage: the blue Maserati Tipo 151 – one of three ever built – that participated in the 24 Hours of Le Mans race in 1962. GranTurismo is a genuinely Italian car concept pioneered by Maserati. The GranTurismo model is the latest Maserati designed by Pininfarina and since its launch in 2007 it has evolved into one of the most iconic GT cars ever built. The 4-seater coupé is considered the ultimate expression of Maserati’s passion, technology and craftsmanship and remains unique in the supercar segment thanks to its timeless design and comfortable 4-seat interior. Maserati has produced more than 37,000 GranTurismo and GranCabrio models in the historic factory of Viale Ciro Menotti in Modena and relaunches the iconic model for 2018 with an elegant and aerodynamically efficient restyling, refined interiors and a state-of-the art infotainment system. The streamlined GranTurismo range comprises two well defined versions, the Sport and the MC – the latter on display in New York. Both versions are equipped with the naturally aspirated 4.7-litre V8 engine, hand-built by Ferrari in Maranello and capable of producing 460hp at 7,000rpm and 520Nm of peak torque at 4,750rpm. A six-speed ZF Automatic Gearbox is attached directly to the V8 powerhouse. The Maserati Design Centre team in Turin approached the MY18 restyling by treating the timeless design with utmost respect. The car’s new ‘sharknose’ hexagonal grille is inspired by the Alfieri Concept and adds a three-dimensional effect to its frontal view. Together with the new, lower air ducts, the grille helps improve the airflow distribution and reduce the aerodynamic drag from 0.33 to 0.32. The rear bumper has also been redesigned with an emphasis on the natural elegance of the iconic GT coupé and cabriolet, featuring a neater design with twofold layout for the Sport and MC versions. The performance figures of the MY18 GranTurismo have been improved compared to the previous model year. The GranTurismo Sport accelerates from 0-100km/h in 4.8 seconds and reaches a top speed of 299km/h while the lighter MC version makes it to 100km/h in 4.7 seconds and has a top speed of 301km/h . The interior of the GranTurismo offers unparalleled comfort for four adults, thanks to the individual Poltrona Frau® leather seats with integrated headrests. The iconic Italian coupé is also available with Alcantara and leather upholstery. For 2018, the GranTurismo features a new, high resolution 8.4” capacitive touch screen and Harman Kardon Premium Sound system. The state-of-the art infotainment system is compatible with both Apple CarPlay and Android Auto smartphone mirroring functions, while the redesigned central console accommodates a user-friendly, double rotary knob, made of forged aluminium. The button cluster for the car’s driving modes is repositioned on the lower central console, next to the gearshift lever. Maserati: cars that are immediately recognizable for their extraordinary personality. Their style, technology and innate exclusivity – guaranteed to appeal to even the most discerning tastes – have made them an industry benchmark. The brand’s ambassadors are the Levante (Maserati’s first ever SUV), the flagship Quattroporte in GranLusso and GranSport versions, the Ghibli executive sport sedan and the GranTurismo and GranCabrio sports cars. With the option of gasoline and diesel engines, rear or all-wheel drive, the finest materials and outstanding engineering, this is the brand’s most comprehensive offering yet. 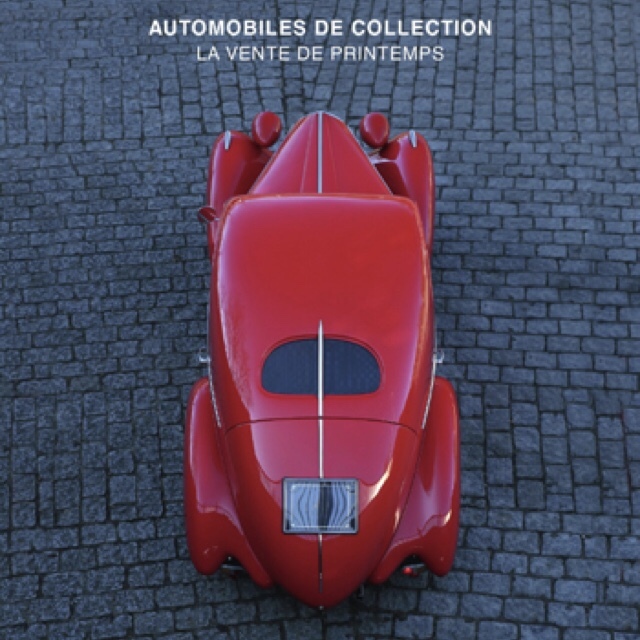 A tradition of successful cars, each of them redefining the concept of the Italian sports car and setting new standards in style, performance, luxury and safety. This entry was posted in Auto and tagged auto, automotive, car, consumer, design, fca group, flagship, GRANTURISMO, italian, Italy, maserati, my18, New York, nyc, nyse, quattroporte, suv, Vaughn Lowery, vehicle, zegna on June 27, 2017 by wp360mag.